We have been chugging along here, still trying to help Page adjust to being in school and away from me. Friday was hard, as soon as we pulled up to her school she began to cry. It was so hard to leave her, she was crying and begging me not to–this parenting gig is hard! Despite the hard drop off, she did much better through out the day, than she had the day before…baby steps. In other more happy news, we got a new refrigerator! We settled on a Kenmore Elite LG Grab-N-Go and we could not be more happy. Our old refrigerator was 20 years old, so we could have gotten away with getting something much less expensive and it still would have been an upgrade for us. The Grab-n-go feature is great, but what really sold me on this refrigerator was the airtight compartment it has. I’ve had a bundle of kale in the airtight compartment for 2 weeks, it is still as fresh, and crisp as the day I bought it. It would have been trashed in my old refrigerator. Now on to the crab cakes. I love crab cakes, and I love crab curry. so why not combine the two? 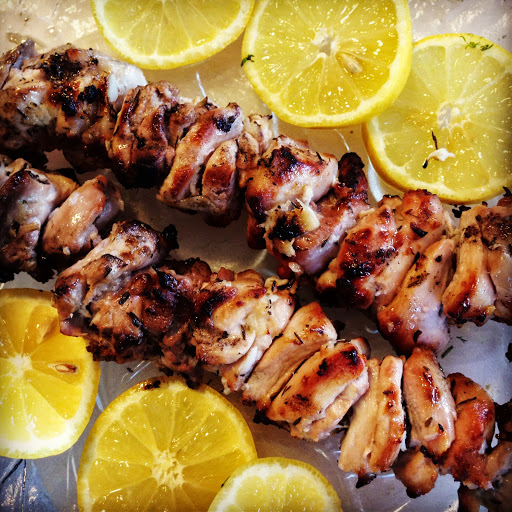 I topped these with raita, but these are equally as delicious all on their own alone. Directions for raita : Combine all ingredients in a bowl and refrigerate until ready to use. 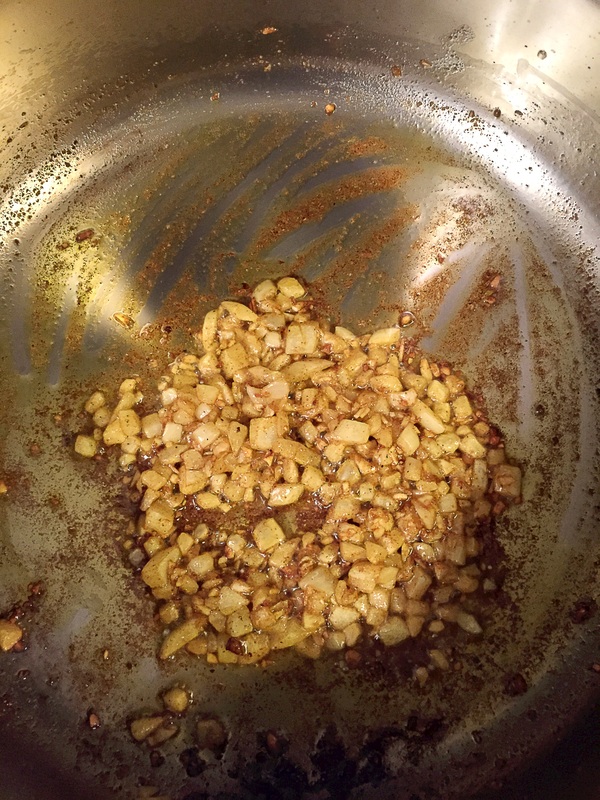 Directions for crab cakes: Heat oil in a saute pan, add in onion garlic and curry seasoning, cook for 2-5 minutes or onions turn translucent. 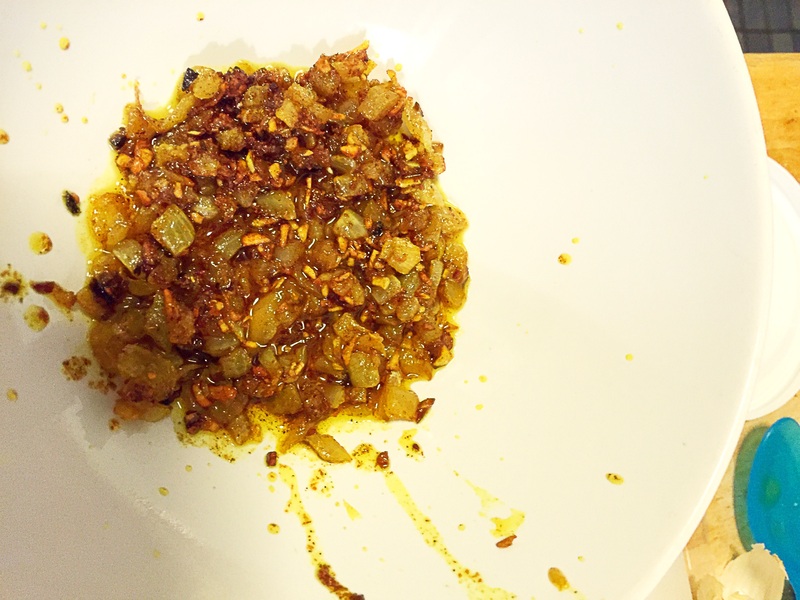 Transfer onion curry mixture to a bowl to cool ( 5 minutes). 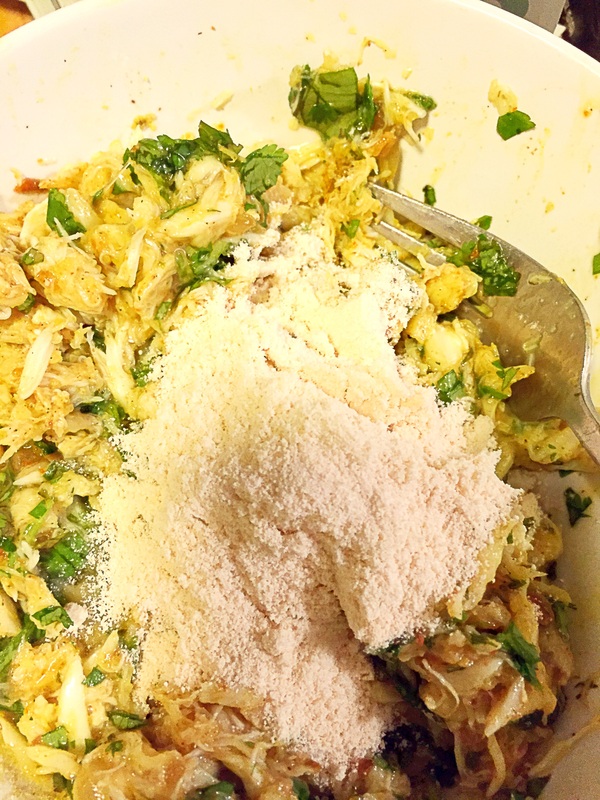 Add in crab meat, cilantro, egg, lime zest and coconut flour and combine well. 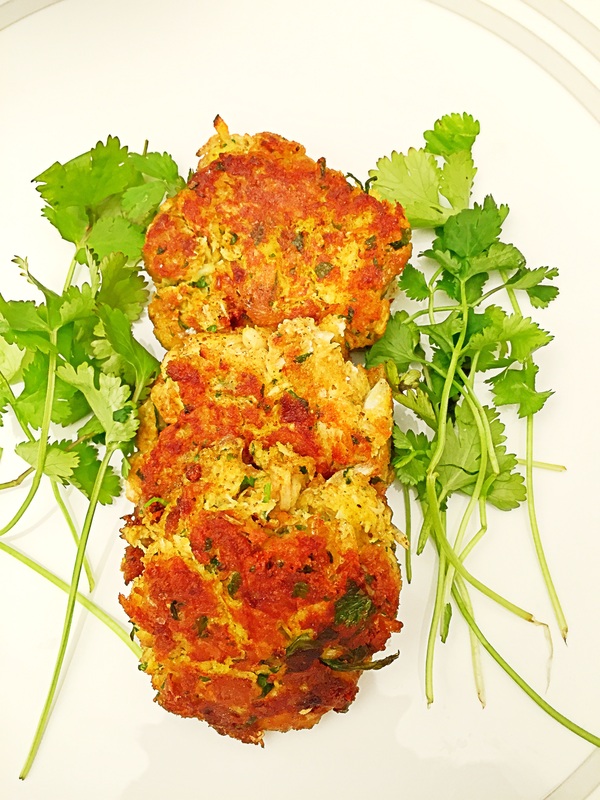 Once crab mixture has come together form patties for frying. 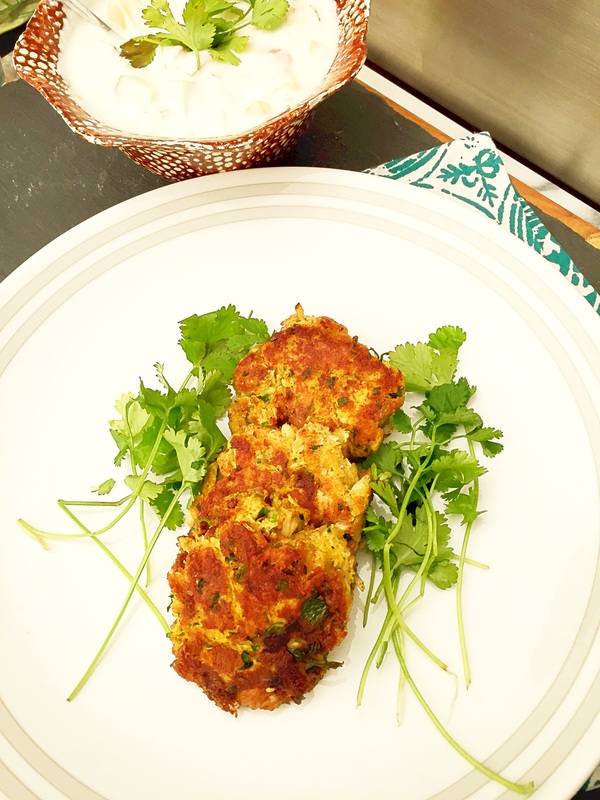 Heat the butter or ghee in a skillet, add crab patties and fry until golden brown on both sides, about 4 minutes on each side. 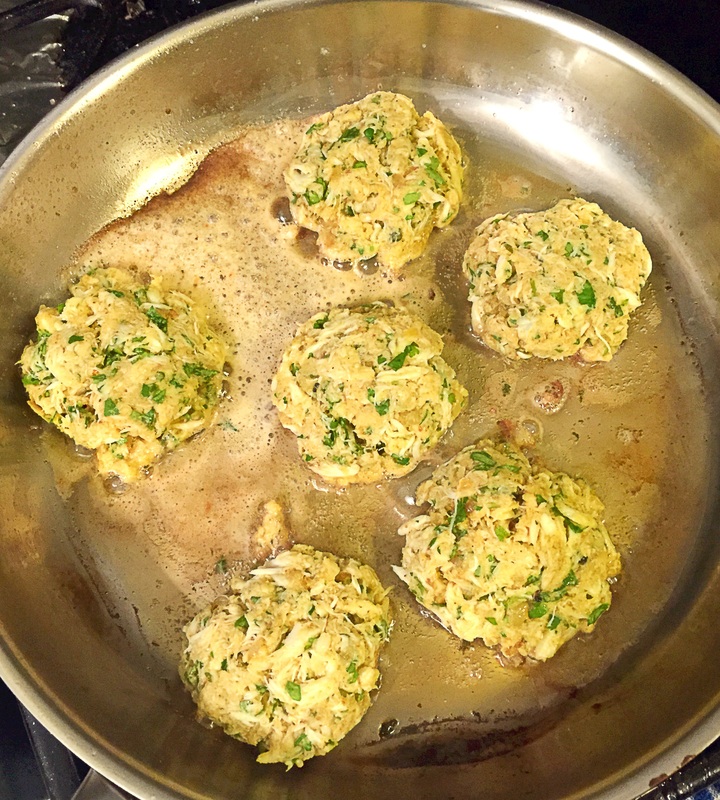 If you like this recipe you may like my other crab recipes: crab cakes, crab fried rice, steamed crab recipe or crab taco’s. This entry was posted in dinner, Food, Food blog, gluten free, Healthy Whole Food Blog, low calorie, low carb, paleo, quick fix meals, recipes and tagged 20 minute meals, Crab cakes, crab recipes, curry crab, curry recipe, dinner, easy dinner recipes, Food, gluten free crab cakes, gluten free recipes, healthy recipes, low carb recipes, low fat recipes, Paleo, quick fix dinner recipes, raita recipe, recipe, recipe ideas, recipes. Bookmark the permalink.